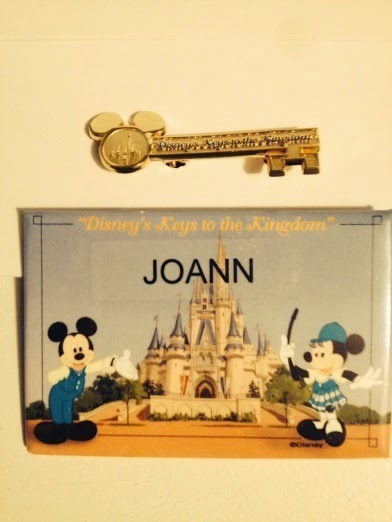 Disney Runs in the Family: Did you get your "Keys to the Kingdom" at WDW? Reading Aly’s review of “Dining with an Imagineer” (One of my top 10 Disney experiences) reminded me that our family always did the Disney “extras”, many of which no longer exist. When my daughter was 16, the Disney Institute offered fun classes for guests. Somehow she talked me into taking a hip hop dance class! Back when she and her cousin were around 12, we sent them on a 6 hour tour - Show Biz Magic. No one OVER 16 could go on the tour. It took them to all 3 parks back then, the Magic Kingdom, Epcot Center and MGM Studios . My husband and I had the luxury of enjoying a day at the parks by ourselves (but secretly I was wishing I could go with them on the tour). The envy peaked when they came back and told us all about the Magic Kingdom being built “up” and how they saw the utilidors underneath. It’s funny how I can’t find anything online about this tour. Everything I see says “no one under 16 is allowed in the utilidors”. That may be the new rule, but my family knows that back in the 90s, it was just the opposite. We still have the book they received, so we have proof! To my delight, Disney turned it around and now has adult tours where you can enjoy this experience. Last November, I joined Aly in running the Jingle Jungle 5k. 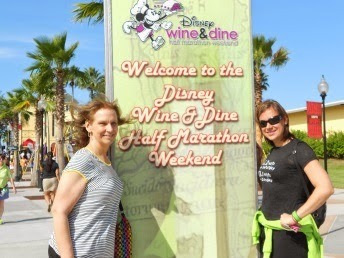 Bill and Aly were running the Wine and Dine half and going to the after party. Since we were sharing a room, I knew they would want to sleep in and get a later start the next day. 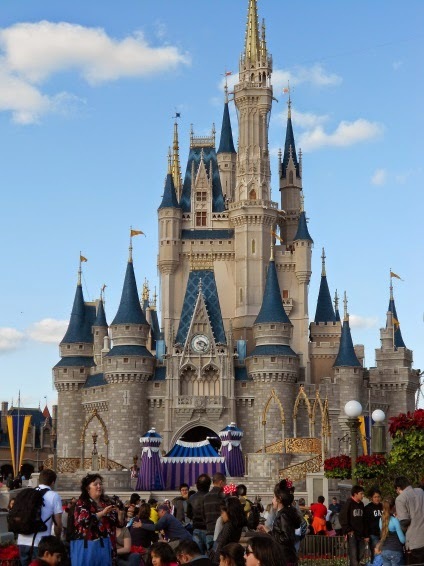 Planning in advance, I reserved my spot on Disney’s Keys to the Kingdom tour. I always wanted to do something like this and my opportunity was here. I was so excited as I quietly got up, got ready and put on comfortable walking shoes for my 5 hour tour! I checked in at the Chamber of Commerce, where we placed our preferences for lunch, met our guide and other members of the tour. I knew this would be a special experience when I learned that one couple on the tour was doing this for their third time! The Keys to the Kingdom is a 5 hour tour that is a must if you love Disney. This tour concentrates on the Magic Kingdom. You get to stroll through the infamous Utilidors and see where the parade floats are stored. But there is so much more. You get interesting perspectives of the park and learn a lot of facts from your tour guide. Being a Disney fan forever, I knew about some of the stories that were shared, but I learned a lot of new ones and came back with a wealth of Disney information. The five hours seemed to fly by. Lunch at Columbia Harbour House was enjoyable. We passed the line at the Haunted Mansion, getting some insight both before and after the ride. It is the kind of tour where it can be a different experience each time, personalized by different tour guides. We stopped and sat while we listened and chatted at least twice during the 5 hours, so don’t let the time scare you. You probably walk more than this in your day’s visit to a park. I’m not going to share any of the interesting tidbits I learned. Yes, you can probably research them all on the internet, but it is so much more interesting listening to a guide tell you the stories as he points them out on the tour. You are not allowed to use cameras, videos or cell phones on the tour. When making your reservations, make sure you find out about discounts. I got a 20% discount on the tour by having a Disney Visa Card. I enjoyed this so much that I’m looking forward to taking the tour "Walk in Walt’s Disneyland Footsteps" when I am there in August. 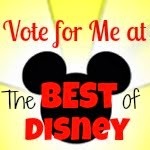 Have you ever taken a tour at Disney World or Disneyland? Was it one of your favorite things? Do you remember or did you participate in the Show Biz Magic Tour back in the day? And don't forget to enter our 30 Day Fitness Challenges free app giveaway through June 5 !